Subaru bests perennial winner Toyota as the top resale brand for 2011. 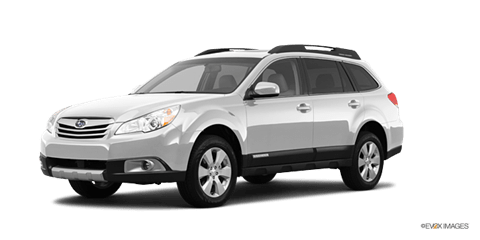 According to Eric Ibara, KBB’s director of residual consulting, this is because Subaru has a newer model lineup and its cars don’t sit on dealer lots for long. The perception of limited supply creates a high demand and, thus, higher resale values. Our take: Subaru’s vehicles are capable and reliable, offer useful space and provide the security of all-wheel drive. The automaker is well worthy of this top honor. A wagon segment was added to KBB’s rankings for 2011, and Subaru took the class title with its all-wheel-drive Outback. That’s impressive, given that it went up against entries from Audi, Mercedes-Benzand Volvo, and it beat them all by at least 6 percentage points. Our take: Redesigned for 2010, the Outback received new styling and a powerful new 6-cylinder engine. We are impressed by the ride quality and the responsive engine. Plus, its raised ride height helps the Outback avert the stodgy image suffered by other wagons. The Subaru Impreza WRX supplants the Nissan 370Zas the champion in the sports car class. While the WRX has always been a contender, Subaru‘s sales surge and a consistently strong track record catapulted it to the top this year. Our take: Both WRX trims are fun to drive, with 265 horsepower available in the base WRX and 305 horsepower packed in the tricked-out WRX STI. The STI may be a bit too high-strung for some tastes, though. Both offer useful space, especially in the hatchback body style, and can be driven year-round thanks to standard all-wheel drive.